A POST code is a 2 digit hexadecimal code generated during the Power On Self Test. 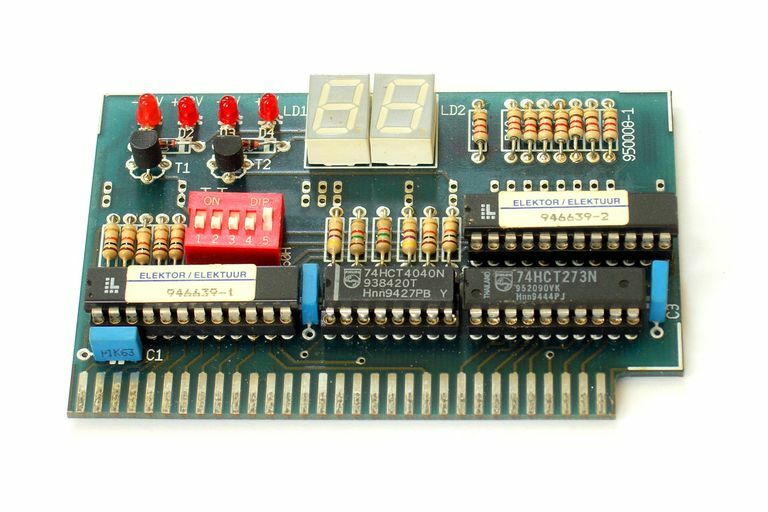 Before the BIOS has tested each component of the motherboard, this code can be outputted to a POST test card that's plugged into a specific expansion slot. If any particular part of the test fails, the last POST code generated can then be viewed using the POST test card for help determining what hardware didn't pass its initial test. A POST code is not the same as a system error code, a STOP code, a Device Manager error code, or an HTTP status code. Even though POST codes may share code numbers with one or more of these other errors, they are different things entirely. POST codes will differ depending on the BIOS vendor (i.e. most motherboards use their own lists) so it's best to reference the POST codes that are specific to your computer, codes that should be published on your manufacturer's official website. If you have trouble finding a list of POST codes on your computer, motherboard, or BIOS vendor's website, you might be able to get help from tech support, check the current BIOS version on your computer, or find the codes at a site like BIOS Central. POST codes correspond directly to tests that are taking place by the POST. When a POST test card stops at a specific POST code during the boot process, that specific code can be referenced against the list of possible POST codes generated by your specific BIOS, helping to pinpoint the source of the problem with your computer starting up. Beyond that general how-to, you'll need to check the documentation that accompanies your computer's list of BIOS POST codes for help on exactly how to interpret what your POST test card is saying. Some POST codes are handed off to the POST test card after a certain test has completed, meaning that the next POST code in the list you're referencing is where you should start troubleshooting. Other motherboards, however, send a POST code to an attached POST test card only when an error has actually occurred, meaning that the hardware that that POST code equates to is probably where the problem lies. So, again, check with your computer, motherboard, or BIOS maker for details on how to interpret what you're seeing. For example, let's say that Acer is your motherboard vendor. Your computer won't start and so you've attached a POST test card and found the POST code shown to be 48. If we take a quick look at this list of Acer BIOS Post Codes, we see that 48 means "Memory tested." If the POST code indicates that the last test has failed, we immediately know that the problem doesn't lie with anything else; not the CMOS battery, video card, serial ports, CPU, etc., but instead with the system memory. At this point, you can narrow your troubleshooting to whatever is referenced. In this case, since it's the RAM, you might remove all but one stick and see if your computer boots again. POST codes that display on a POST test card are especially helpful if you don't have a monitor plugged in, there's something wrong with the display, or, of course, the cause of the issue is something video related on the motherboard or with the video card. Beep codes are audible error codes that serve a similar purpose to POST codes, but these errors don't require anything but a working internal speaker — no working screen or any need to open your computer to install and use a POST test card. If the display is working, you may see a POST error message display on the screen. This is just a regular error message like what you'd expect to see at any stage of using your computer. This type of POST error code doesn't require a POST test card either.